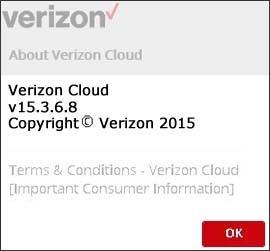 While signed into the Verizon Cloud desktop app, click the Cloud icon in the system tray (located in the lower-right). Navigate Help > About Verizon Cloud. View the software version then click OK.